Come and join us at Westworth United Church for another fun filled week of Vacation Bible School, August 26-30. 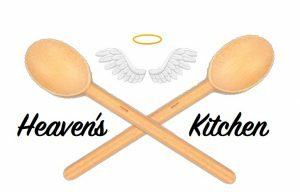 Learn about how food is mentioned in the Bible in this year’s “Heaven’s Kitchen” theme, through stories, crafts and of course food! Register early to ensure your spot. Time: 9 a.m.to 4 p.m. – Full Day. Students may register for Full Days or Individual Days. The V.B.S. curriculum takes place from 9 a.m.-1 p.m. From 1 p.m.-4 p.m., we have fun activities!! Registration Cost: $75 child/Full Day week ($15 per day) Subsidies and Family rates available.